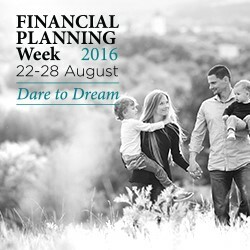 Did you know that this week (22-28 Aug) is Financial Planning Week? Every year, the Financial Planning Association (FPA) holds Financial Planning Week, to remind Australians about the importance of financial planning. The theme for this year is “Dare to Dream” and it helps us to remember that we need a plan to realise our biggest dreams. Financial planning is not just about numbers – it’s about deciding what we want out of life, then putting in steps to achieve it. Financial independence is something we all dream about – whatever life stage we find ourselves at. Something you might find particularly interesting, is the Dare to Dream research report and Launch Video (Links below!). This report contains eye opening insights about how Australians feel about their financial future. The report highlights that whilst one in two Australians dream more about the future now than five years ago, a massive 63% have made “no plans” or “very loose plans” to practically achieve those dreams. The report and video also shows that property is still a big part of the ‘Great Australian Dream’ (surprisingly even for Gen Y), and that the biggest financial regret in life for Australians is a lack of saving (a huge 47% stated this!). Come talk to Helm about your daring dreams and let’s make 2016/17 the year you realize your capability to achieve them! A number of Helms clients have Macquarie Life Insurance cover organised by Helm. 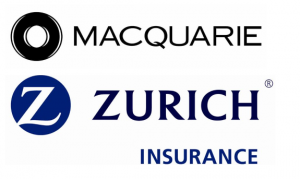 Once handover of life policies is complete, all existing Macquarie Life policyholders will become customers of Zurich Life, who will honour all obligations under new and existing policies. Insurance is a global business and a number of large Australian Life Insurers are looking at selling out to global brands (E.g. MLC’s: Life sold to Nippon Life; AMP rumoured to be negotiating with large European firm). Zurich Life is a quality brand and we look forward to working with their team here in Perth to assist our current and future life Insurance clients. Please contact Helm if you’re worried your family is under protected or paying too much for the cover you/they need. We offer a comprehensive insurance re-evaluation service which could save money and deliver enhanced peace of mind.